Today I’m thinking of three people who played a major role in shaping my life: my Dad, my high school art teacher and a high school music teacher. Certainly, more people have influenced my journey, but when I think of where I am today, I doubt that I would’ve been on this trajectory, if not for these three. Dad gave me a wonderful foundation on which to build my character, my beliefs and my values. He generally encouraged me to pursue things I was passionate about. He inspired me from childhood to believe that I could be anything I set out to be and do anything I set out to do. He praised me. He believed in me. He was proud of me. And he gave me a love for words. I was worth many sons to him in a culture where daughters were often overlooked. Because of him, I can choose paths less trodden. In the craziness of puberty and high school, the Art Room and my art classes were a sanctuary. I still go to happy places when I’m playing with paints and canvas. Our art teacher had a reputation for being quite blunt when assessing students’ work, but art classes were still lots of fun. She treated us like her children. She cared. She encouraged. She coached, even with sarcasm. I’m rediscovering the artsy spaces in me and thanking God for high school art. Music is another passion of mine. I remember the joy of singing nursery rhymes in kindergarten. By the time I got to high school, I lived, breathed and dreamed pianos and singing. Enter our Mixed Choir Director. He was such an accomplished musician that he was later headhunted to lecture at one of the local universities. As I blaze new trails and try to somehow incorporate my love for words, art and music along the way, I think of these three shapers. And I thank them. Who are the shapers in your life? Have you let them know and thanked them? 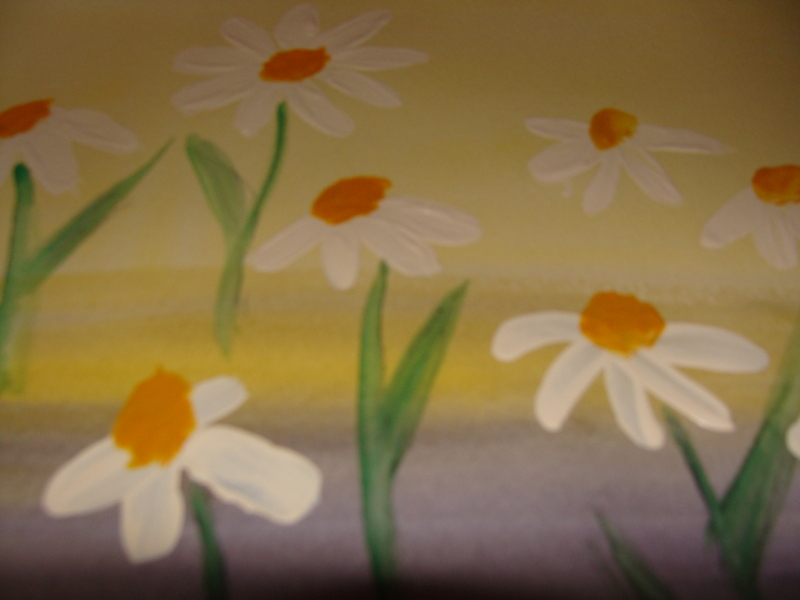 I just love your daisies – my favorite flower – I suppose because they are so “happy”. I love “George Gray’s Epitaph” from The Spoon River Anthology by Edgar Lee Masters which symbolizes my journey with Dezy. Beautiful! Since you are with Dezy, I assume that you have lifted the sail and caught the wind of destiny. 🙂 You’re both such lovely people and knowing you continues to shape me. Thanks for your comment, Bud. I look forward to reading your article. My 7th grade English teacher was the one who first planted the idea in my mind that I could write well. He, too, was a Shaper.